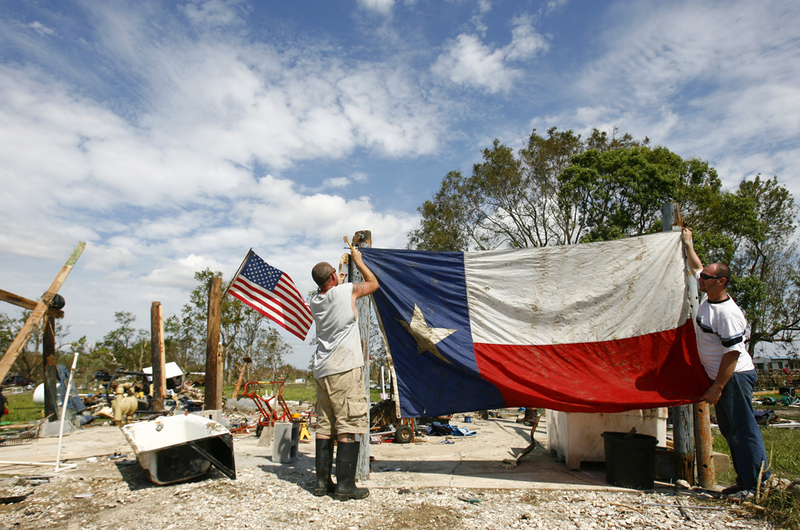 Residents of Oak Island, Texas returned to find what remained of their homes after Hurrican Ike ravaged the Gulf Coast on September 13, 2008. Ninety percent of the 250 homes in the small community were destroyed. Amazingly, many residents refused to leave choosing to camp or live on boats as they waited for trailers from the Federal Emergency Management Agency.